Encouraging friendships and social interactions among all the diverse young children in your classroom is more important than ever. Studies show that the roots of bullying take hold in early childhood, during the critical first years of attitude development. The message is clear: To reduce the high incidence of bullying in schools, we need to lay the groundwork for acceptance of and respect for diversity when kids are very young. Here are three of the most effective strategies for helping students respect and accept each other’s differences. 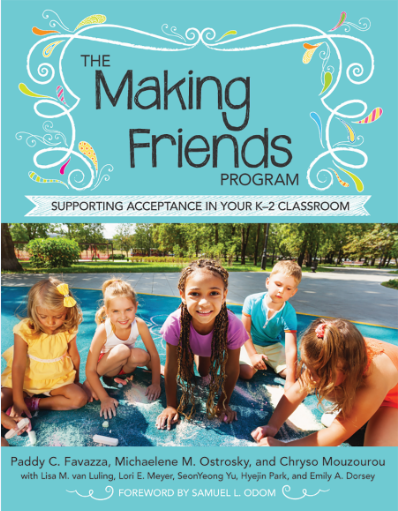 These are from The Making Friends Program, a book of practical, teacher-tested strategies for supporting acceptance in K-2 classrooms. Provide a simple explanation. Kids will have questions about people and cultures unfamiliar to them. Provide simple, age-appropriate explanations and answer questions in honest, matter-of-fact ways. You’ll encourage children’s natural curiosity and start valuable conversations about the world around them. Highlight similarities. Ask children to identify ways in which we are all more alike than different. Start a class discussion about our similar experiences and feelings, and how we behave similarly in certain situations. Increasing your students’ awareness of our common ground as humans will help them develop positive feelings about all of their classmates and engage in respectful behavior. Offer positive feedback and solutions. When you see children having caring and respectful conversations with each other, point it out and give them praise. If your students bring up a specific challenge, use moments like these to provide positive solutions, so children have a model to follow for future social interactions. Let’s take a look at these three strategies in action, with this excerpt from The Making Friends Program. 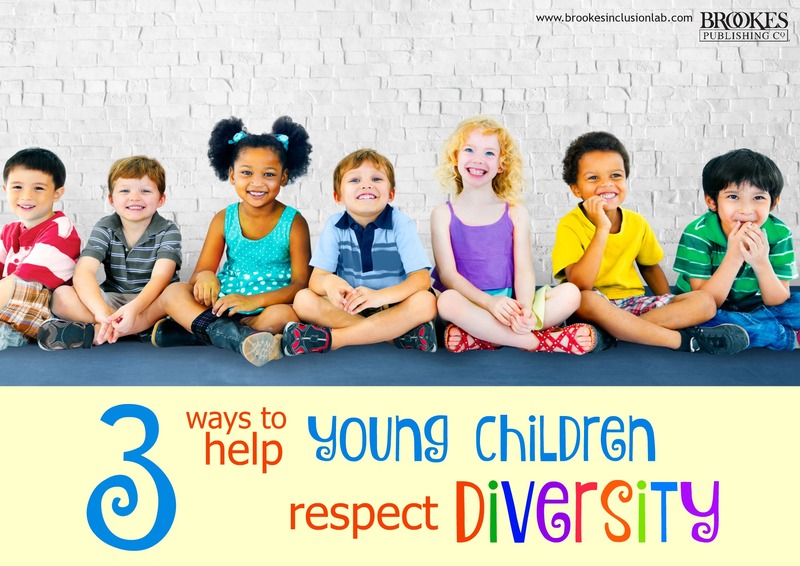 These classroom examples model ways to increase understanding of and respect for children who have disabilities, speak different languages, or are from diverse ethnic and racial backgrounds. Jisoo (age 5, Korean American) attends kindergarten 5 days a week. He lives with his parents, who speak both English and Korean, and his grandmother, who only speaks Korean. Before attending kindergarten, Jisoo was cared for at home by his grandmother. His kindergarten teacher, Ms. Reeds, asked Jisoo’s parents to write down some words in Korean that could be helpful when communicating with him (e.g., give me [joo-sae-yo], stop [geu-man], bathroom [hwa-jang-shill], water [mool], hello [an-young], good-bye [jal-ga], thank you [go-ma-wa]). Although it sometimes takes a little time to understand what Jisoo wants or needs, Ms. Reeds thinks she is doing fairly well communicating with him. However, Ms. Reeds has noticed several incidents in class in which Jisoo was left alone or excluded by peers. She has also heard some of her students mimicking Jisoo’s accent when speaking some words in English. Sandra (age 7, Caucasian) is holding a Caucasian baby doll that she brought to class for show and tell. Sandra is showing the doll to other girls in the class when Aluel, a student who recently moved here from Kenya, approaches the group. Aluel asks if she can hold the baby doll. Sandra looks at Aluel and says, “You can’t be a mommy to white babies. You can only be a mommy to black babies, so you can’t hold her.” Other girls in the group nod their head in agreement. Read this Inclusion Lab post for tips on stocking your classroom with diverse books and resources that reflect the world around us. Visit the Brookes Publishing Cultural Diversity Resource Center, featuring a free toolkit of resources, interviews with and video clips from our expert authors, original newsletter articles, and excerpts from some of our books on working with diverse children and families.